How to convert ICO to JPEG 2000 in batch? 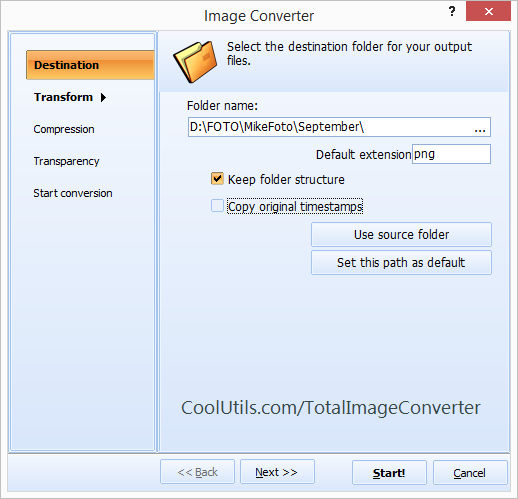 You are here: CoolUtils > Total Image Converter > How to convert ICO to JPEG 2000 in batch? When it comes to conversion software, we have exactly what you need. 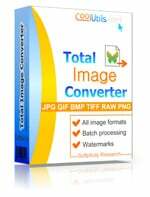 With Total Image Converter, you can convert files with the ICO extension to JPEG 2000 and a variety of other image-based formats. What sets us apart from other converters? For starters, using our app you can convert ICO to JPEG 2000 in batch. Regardless of how big your jobs may be, Total Image Converter can handle it. Featuring an adaptable, user-friendly GUI our image converter lets you work directly with the command line. When you save icons as JPEG 2000 using our converter, you'll also have access to options that let you control the behavior of your images. Based on years of experience and feedback collected from hundreds of users, we've developed the premier conversion solution. Convert multiple images in batch. 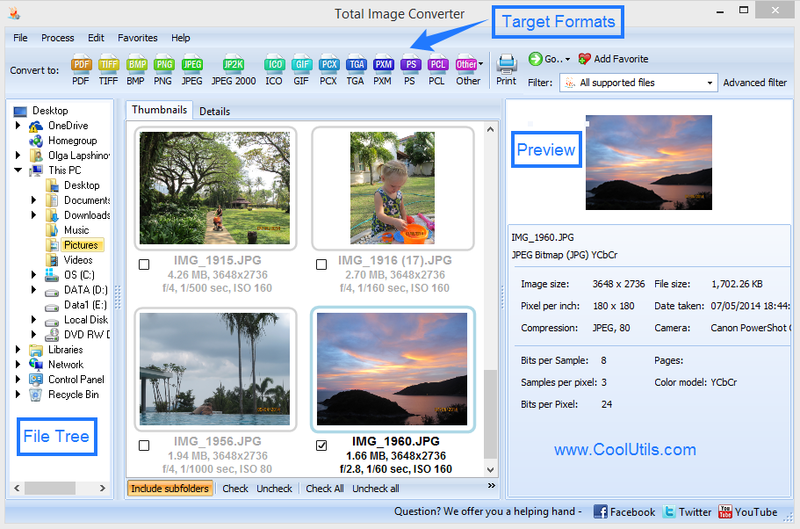 If you like what you see, unlock Total Image Converter's full potential by ordering the full version. For only $24.90 you will gain access to our image converter for life. Updates, upgrades and top notch tech support are all included. After more than a decade spent developing conversion software we understand the importance of user feedback. We're always looking for new ways to improve old programs and to serve users' needs through the design of new utilities. So please, let us know what you think. While you're at it check us out on Facebook, Twitter, YouTube, or visit our blog. How to convert JPG to ICO and get neat output? How to convert PNG to ICO images?